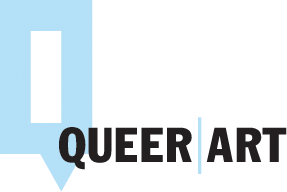 Calendar of events from Queer|Art artists for the month of March. You could start at SPRING/BREAK on March 6th, where Current QAM Fellows Jarrett Key and Zoe Schlacter will show work, and move on to a program of performances organized by Queer Trash (a curatorial platform that includes Current QAM Fellow Eames Armstrong in its trio of members) at ISSUE Project Room on March 10th. Later in the month, Current QAM Fellow Justin Allen will perform What Are Our Questions? 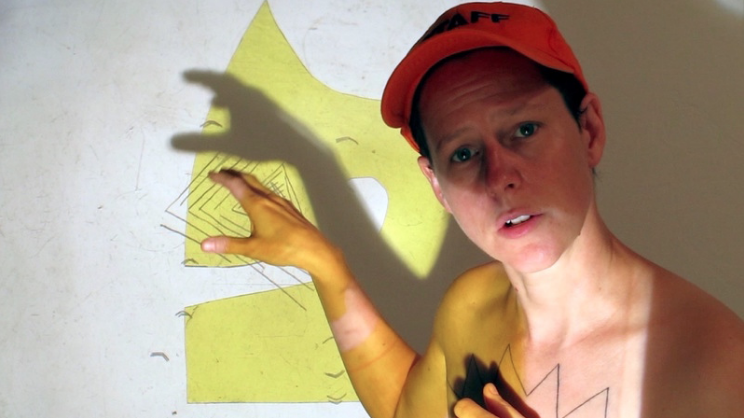 – an evening of readings, projection mappings, and improvisational acts by Allen and two others at Artists Space on March 22nd. The next night, Current QAM Fellow Marco DaSilva will open his first solo exhibition, No Reason to be Careful, at The Bureau of General Services - Queer Division at The LGBT Center. And, a week later, on March 31st, Current QAM Fellow Madsen Minax's 2017 feature film, Kairos Dirt & the Errant Vacuum, will round out the month with its New York premiere as part of the MIX NY Queer Experimental Film Festival. Read more about these events and many others below! 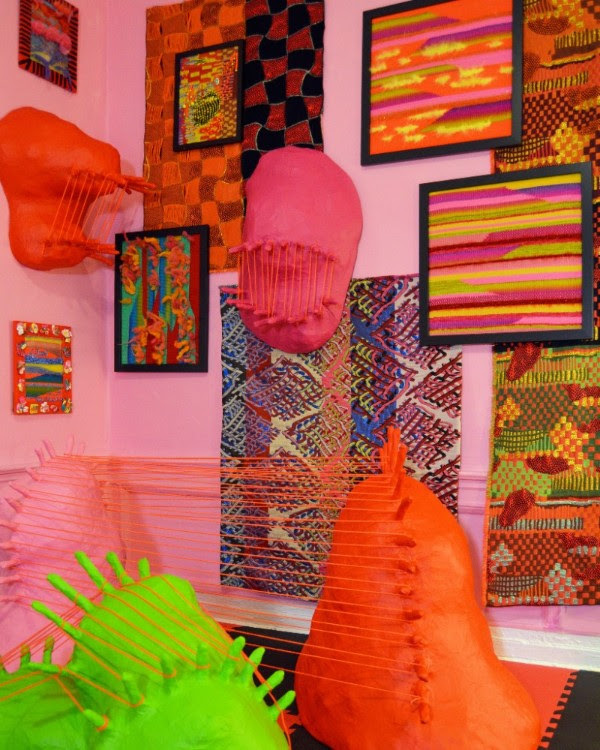 2014-2015 QAM Mentor Chitra Ganesh's exhibition The Scorpion Gesture will be on view at The Rubin Museum through November, and it's definitely not to be missed! Featured on the second and third floors at the Rubin, Ganesh has created five animated artistic “interventions” that appear as if by magic when you walk by select artworks in the museum. In addition, Ganesh has invited seven emerging artists, including 2014-2015 QAM Fellow Maia Cruz Palileo, to expand and redefine the aesthetics of science fiction by creating posters that refer to a group of important, influential films, largely outside the Western canon. This section of the show, entitled Face of the Future, also showcases several of Ganesh's new collage-based pieces and works on paper, reimagining how visual languages of science fiction and fantasy take shape and proliferate around the world in print culture, literature, and cinema. 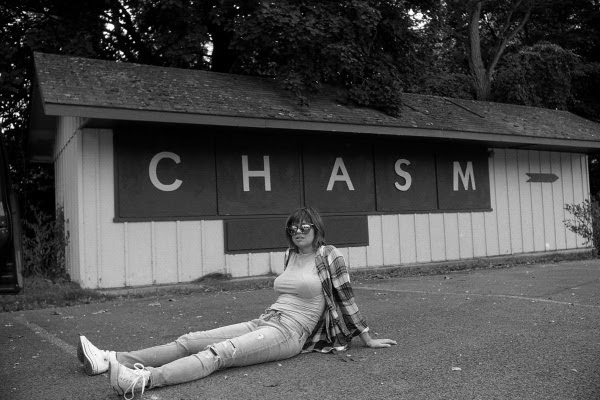 Rebecca Patek in a promotional image for "Chasm"
2014-2015 QAM Fellow Rebecca Patek will be premiering a new work entitled Chasm at The Tank. Conceived and performed by Patek, directed by Meghan Finn, and with video by David Pym, Chasm looks at the events of 2014 surrounding Patek's piece ineter(a)nal f/earthat led Patek to leave the contemporary dance/performance art world. Patek finally gets the chance to tell her side of the story about what went down and reflects on why she has chosen instead to pursue a career in medicine. In her satirical and ingenious comedic style, this piece reflects on a wider problem in the contemporary performance world still yet to face its own #METOO reckoning. 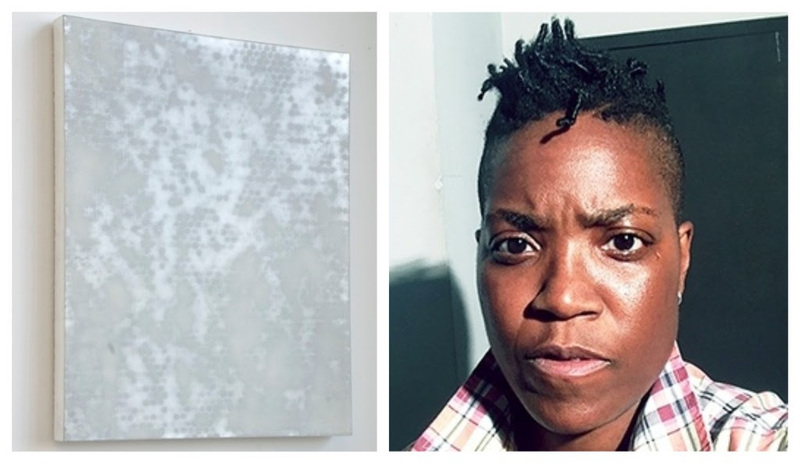 2014-2015 QAM Mentor Carrie Moyer will be featured in two solo exhibitions, presented in collaboration with one another. First, DC Moore Gallery presents Pagan’s Rapture, the artist’s second solo exhibition with the gallery. Pagan’s Rapture is a reaffirmation of Moyer’s Pleasure Principle, providing joyful sustenance and declaring that the End Times are not near. A catalogue with an essay by Mia Locks, co-curator of the 2017 Whitney Biennial, will accompany the exhibition. Further uptown, Mary Boone Gallery presents Seismic Shuffle, which invites the viewer to the psychic interval between dormancy and the incipient rumblings of a new age. Teeming with loamy colors of the forest floor, the eight paintings evoke associations of elemental energies that both extinguish and rekindle. Moyer's work will also be included among the visual art of 35 contemporary artists in the galleries of the American Academy of Arts and Letters for the 2018 Invitational Exhibition of Visual Arts. Exhibiting artists were chosen from over 100 nominees submitted by the members of the Academy, and the recipients of the Academy’s 2018 Art and Purchase Awards will be selected from this exhibition. 2012-2013 QAM Fellow Kerry Downey's video work will be included in Partial Views, a group exhibition at Hercules Art|Studio, along with the work of Dean Moss, Saar Shemesh, Elizabeth Tubergen, and Erica Wessman. Partial Views is an exhibition project that explores The Spomenik—public monuments unique to the former Yugoslavia and to its dream of pluralist authoritarianism. A live performance by Dean Moss, Samita Sinha, and Grey Macmurray will open the exhibition at 6:30pm on March 2nd. 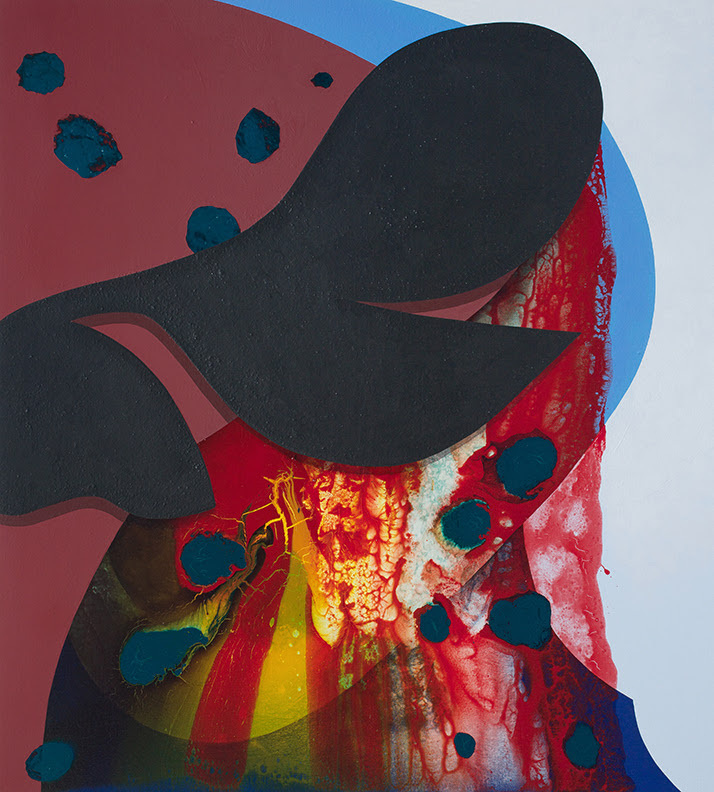 Haptic Tactics, curated by Noam Parness, Risa Puleo, and Daniel Sander, is a group exhibition that seeks to develop new ways of thinking about and engaging with contemporary abstract work made by queer artists. The exhibition features work by 2016-2017 QAM Mentor Carrie Yamaoka among other artists, including A.K. Burns, Katherine Hubbard, Carolyn Lazard, Paul Mpagi Sepuya, Laurel Sparks, and more. On March 13th, a special performance of Nightwood (curated by Sarah Zapata) will occur in conjunction with the exhibition. Named after the legendary Djuna Barnes novelNightwood, a whimsical, gothic lesbian narrative from 1936, the name can also be a double entendre for an evening with Drag Kings. Among the performers of the variety-type show of singing, stand-up, poetry reading, lip syncing, and dancing, will be 2016-2017 QAM Fellow Heather Lynn Johnson. 2015-2016 QAM Fellow Doron Langberg's first solo exhibition, entitled Nothing Personal, will be presented at 1969 Gallery. Named after James Baldwin’s 1964 essay, Nothing Personal is a series of intimate portraits of Langberg's friends, family, and lovers in everyday settings. 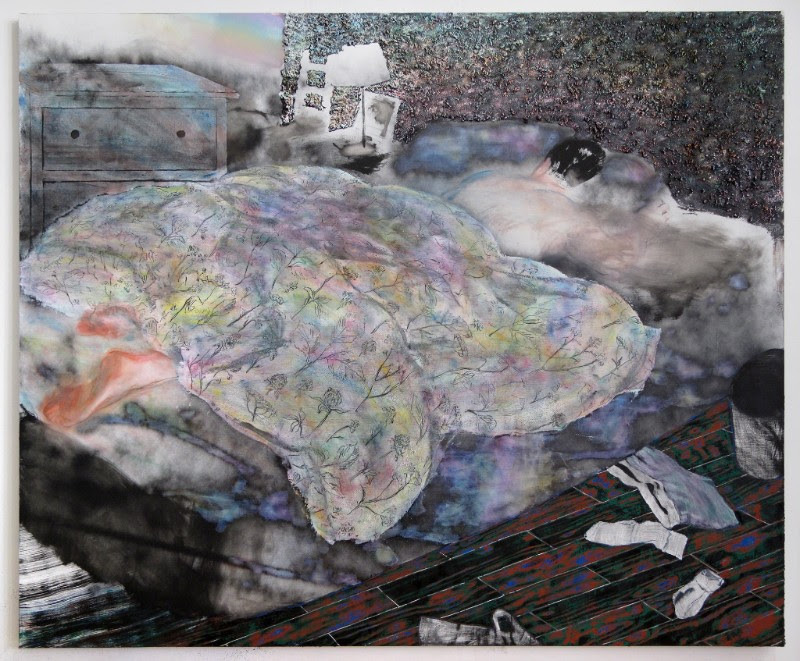 Langberg writes: “I focus on love and desire in my work because they are fundamental human experiences, but, being queer, they are also what mark me as different.” In the freedom allowed in painting, Langberg summons compassion out from exile, creating spaces where difference can be overcome by empathy. 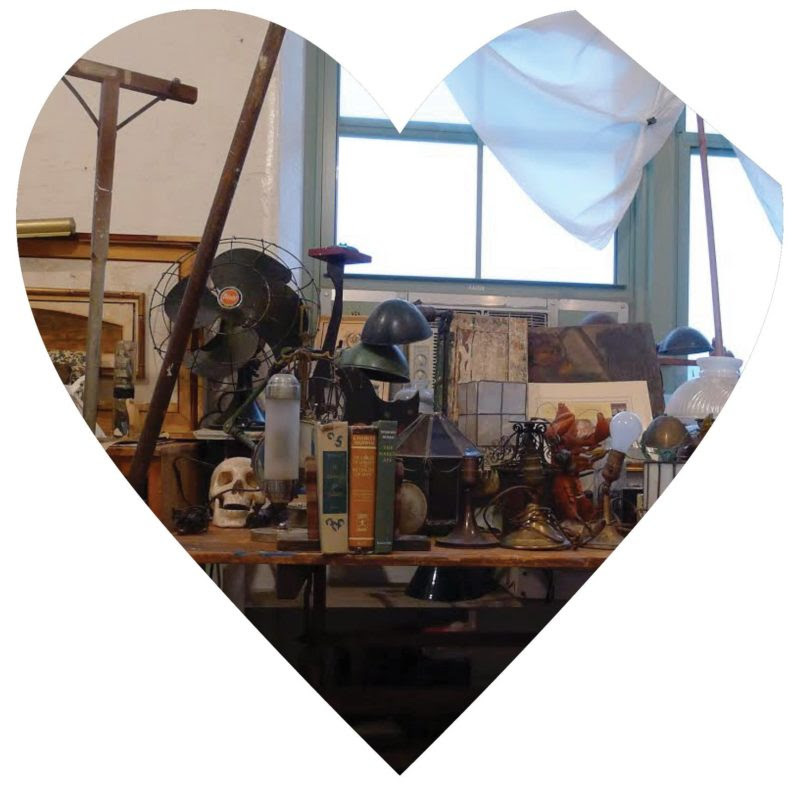 SPRING/BREAK Art Show is an internationally recognized exhibition platform using underused, atypical, and historic New York City exhibition spaces to activate and challenge the traditional cultural landscape of the art market, typically but not exclusively during Armory Arts Week. 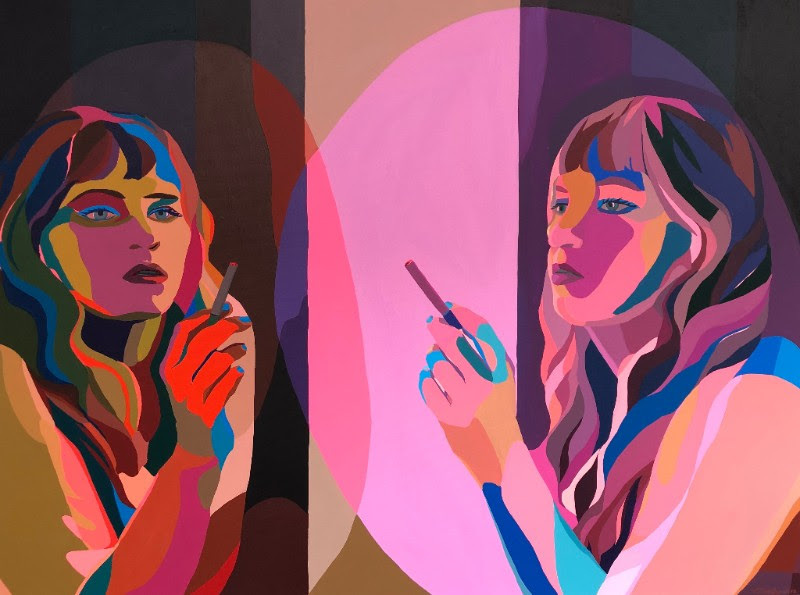 A number of Queer|Art Mentors and Fellows will participate this year: Current QAM Fellow Zoe Schlacter's work will be presented in a solo show, N.E.W, curated by Current QAM Mentor C. Finley in Room 2233; Finley, in turn, will also be featured in a solo exhibition, entitled Stranger Inside, curated by Andrew Gori and Ambre Kelly, in Room 2363; in the main entrance area of the 22nd Floor, Current QAM Mentor Liz Collins has instigated the solo show After Me for artist Andy Harman, who makes larger than life sculptures of food and other familiar objects with poetic irony and a healthy dose of high/low materials and aesthetics; and Current QAM Fellow Jarrett Key will be featured in UNTILL, a two-person show of Key and their twin brother in Room 2219, in addition to curating a second project with their collective Codify Art, entitled OUR GREAT LEADER WILL NUKE YOU in Room 2223. Mickalene Thomas and Racquel Chevremont will curate and assemble The Aesthetics of Matter, a special section of VOLTA, placed across a 2,600-square-foot space in the heart of PIER 90. Among the eight artists chosen for the section is 2013-2014 QAM Fellow Troy Michie, whose work is presented by Company Gallery. 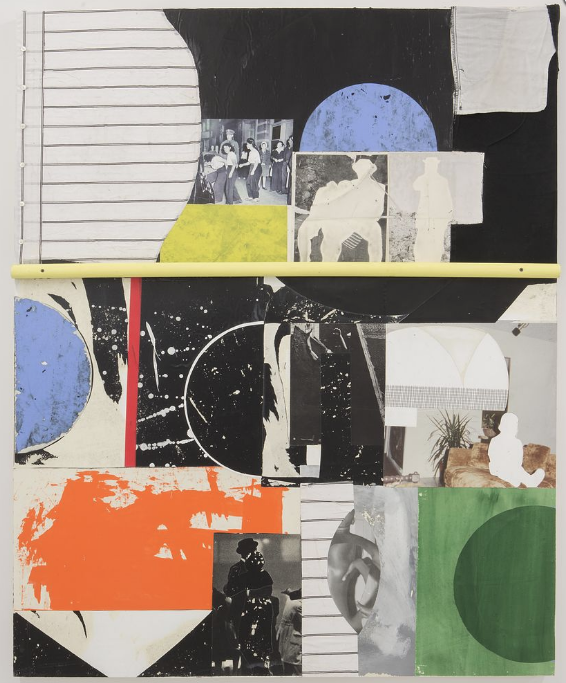 “Our proposal for this exhibition is to present a group of artists who explore ideologies of collage within their practice as a constructive mode through material, language, text, cultural and personal concepts,” states Thomas and Chevremont. Promotional image for Yve Laris Cohen's "P.S.122"
Performance Space New York presents the World Premiere of 2011-2012 QAM Fellow Yve Laris Cohen's new work, P.S. 122. For the opening of the Space’s new theater, Cohen’s work maps aesthetic and political fault lines among the building’s tenants over the past 40 years, bringing discrete groups into ambivalent collaboration. LMAKgallery's booth at NADA NY will feature a solo show of work by Current QAM Mentor Liz Collins. 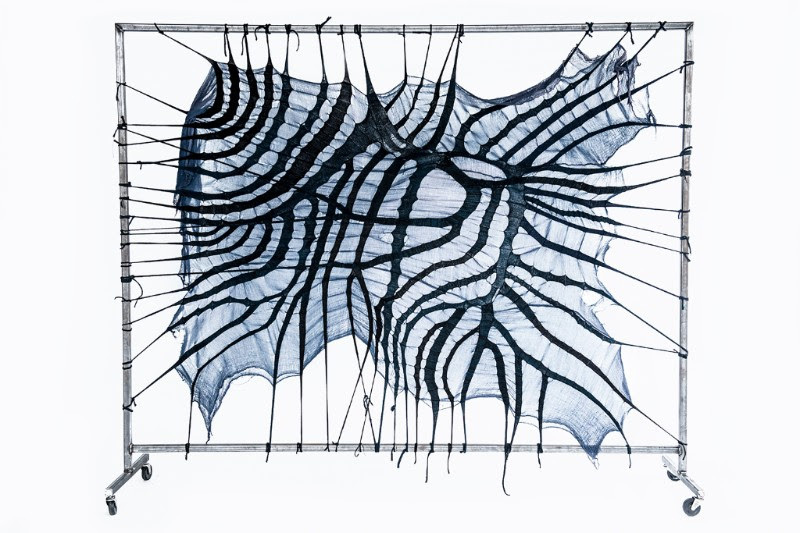 Coming on the heels of Collins' recent exhibition at the New Museum, LMAKgallery will present a cohesive overview of the artist's oeuvre, from needlepoint to weaving, to showcase the extent of Collins' profound exploration of textile. Collins will also show work in a group show curated by Sophie Laudres, entitled In the Time of Perseus at Sargent's Daughters. The exhibition explores parallels between contemporary practice and the myth of Perseus and Medusa. Whether finding analogies for art-making in the storyline or transvaluing its familiar symbolism, the featured artists tap into a zeitgeist full of venom, petrification, dazzling illusions, and weaponized reflections. Also this month, her video piece, created with Lauryn Siegel for Collins' Cave of Secretsinstallation at the New Museum's Trigger exhibition, will be screened at Anthology Film Archives as part of the "Give and Take" shorts program in the CineKink film festival. Founded in 2003, CineKink recognizes and encourages the positive depiction of sexuality and kink in film and television, most visibly through its annual film festival.